Saturday, April 18, 2015 at 7:30 p.m. Please join Heights Arts for Kathleen Cerveny’s farewell reading as the City of Cleveland Heights Sixth Poet Laureate. Accompanying her will be Jeanne Marie Beaumont, Kathleen’s mentor from the University of Southern Maine, Stonecoast Creative Writing Program. 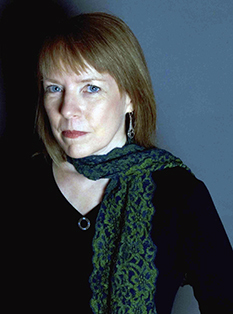 Kathleen served as the Poet Laureate of Cleveland Heights from April, 2013 to April, 2015. 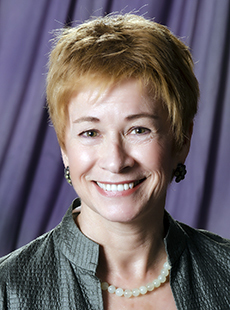 During her tenure, she created a number of memorable creative writing programs for the Heights community, including “Poetweet” and “Ekphrastacy,” which is ongoing through Heights Arts. Cleveland Heights was the first city in the state of Ohio to establish the post of Poet Laureate. Kathleen is a graduate of the Cleveland Institute of Art (BFA 1969) and of the University of Southern Maine Stonecoast Creative Writing Program (MFA 2014) . Since 1991, she has been the Director of Arts Initiatives for the Cleveland Foundation, the country’s first community foundation. There her work has centered on building the professional management capacity of the community’s arts organizations through a series of special multi-year capacity building initiatives, She also led the Foundation’s 1995 arts study and was instrumental in implementing its key recommendation to create the Community Partnership for Arts and Culture whose task it was to secure voter-approval for the current cigarette tax that provides an unprecedented level of annual support for arts and culture in the region. Her poems have appeared in the Southern New Hampshire University Journal: Amoskeag, the e-journal: Shaking Like a Mountain, and in journals published by Pudding House Press, among others. Most recently, a poem of Kathleen’s was selected for inclusion in an anthology published by Future Cycle Press: Poems for Malala Yousafzai. She is the 2014 recipient of the Robert Bergman Award from the Cleveland Arts Prize. Jeanne Marie Beaumont is the author of Burning of the Three Fires (BOA Editions, 2010), a finalist for the Writers’ League of Texas Book Award, Curious Conduct (BOA Editions, 2004), and Placebo Effects, selected by William Matthews as a National Poetry Series winner (Norton, 1997). Her next book, Letters from Limbo, is forthcoming in 2016. She is coeditor of the anthology The Poets’ Grimm: 20th Century Poems from Grimm Fairy Tales. Her poems have been published in numerous anthologies and magazines including Good Poems for Hard Times, Gulf Coast, Harvard Review, The Manhattan Review, The Nation, New Letters, Ploughshares, Poetry Daily, The Year’s Best Fantasy & Horror 2007, When She Named Fire: Contemporary Poetry by American Women, World Literature Today, and many others. She won the 2009 Dana Award for Poetry. Jeanne Marie has taught at Rutgers University and The Frost Place in Franconia, NH, where she previously served as director of the Advanced Seminar. She currently teaches at the Unterberg Poetry Center of the 92nd St. Y and in the Stonecoast low-residency MFA program at the University of Southern Maine. Since 1983, she has made her home on the Upper West Side of Manhattan.